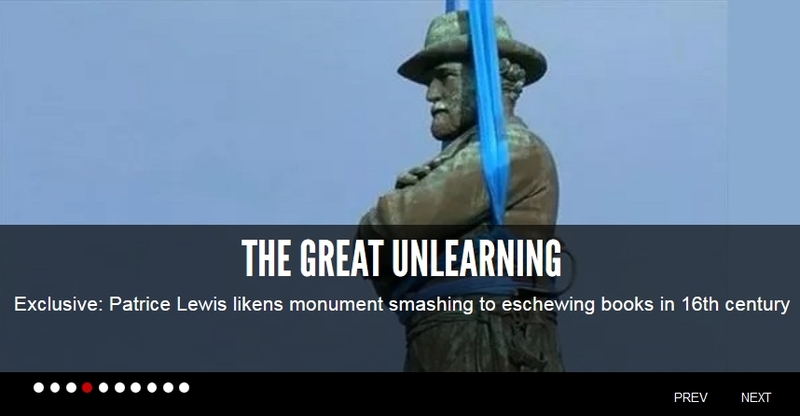 Here's my WND column for this weekend entitled "The Great Unlearning." I didn't realize until this morning the editors chose it to go in the slider. I'm honored. Dear Patrice: Good intellect as usual. However, I'm a bit surprised that you didn't include that (I think it was Lenin?) who cultivated a whole army comprised of "Useful idiots", now famous as a meme. And they change the world into a much more miserable place. Please correct me if I'm wrong. What an awesome article. It deserves special recognition. Speaking of special recognition, my ‘Most Stupid Award’ goes to parents who send their children to government indoctrination centers cleverly called ‘schools’. Way to go. America could not have been destroyed without your support. I'm wondering if it will eventually become illegal to own history books from the past. On a related note, stupid people have all of their photos, diatribes, babblings and even money stored digitally on the internet, their smart phones, Facebook or some cloud. Just wait until government decides that they have served their usefulness and THEIR ‘history’ erased. Well and darn well said ! Great stuff ! Thank You!!! Very well said and exactly how many of us feel. I believe William Clark had a slave named York. Will everything in the West need to be renamed and all of Lewis and Clark's journals need to be destroyed now?